Early online registration deadline: midnight EDT on August 12, 2010. Regular online registration deadline: midnight EDT on September 6, 2010. To register online, you will need a valid Visa, MasterCard, or Amex card. 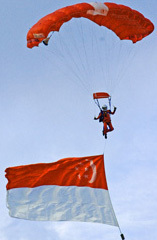 Please visit the Immigration & Checkpoints Authority of Singapore for information on entry & visa requirements. 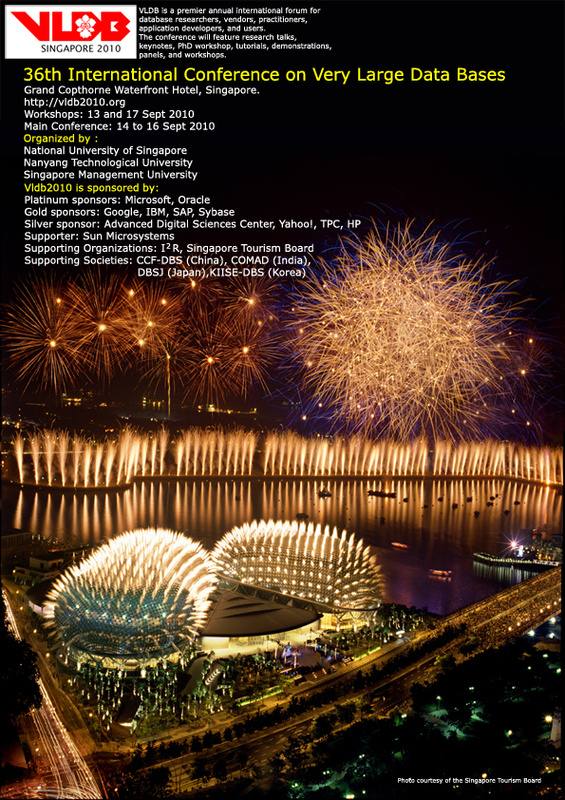 To request for visa support letters, contact the Conference Secretariat (Siew Foong HO, hosf@comp.nus.edu.sg) with your name and mailing address (as they appear on your passport) as well as your registration ID after you have completed the registration. Click here to register. Please use either Firefox or Internet Explorer browser for the registration, and ensure that you've the latest Java plug-in installed. Instructions for installing the Java plug-in are given here. Each paper must have one registration. Please contact register@vldb2010.org for any registration related matters. Package A/B/C registration includes two tea breaks and one lunch per day, conference materials, welcome reception, and conference banquet. Package D/E registration includes two tea breaks and one lunch for each registered workshop day and conference materials.